Vijayawada Municipal Corporation (VMC) is taking up certain measures, to provide a pleasant experience to visitors at Rajiv Gandhi Park. Rajiv Gandhi Park is the biggest park in the Vijayawada and it is not taken care all these days. There is going to be a complete facelift by Krishna Pushkarams. Municipal Commissioner Veerapandian, has inspected the park on Wednesday. 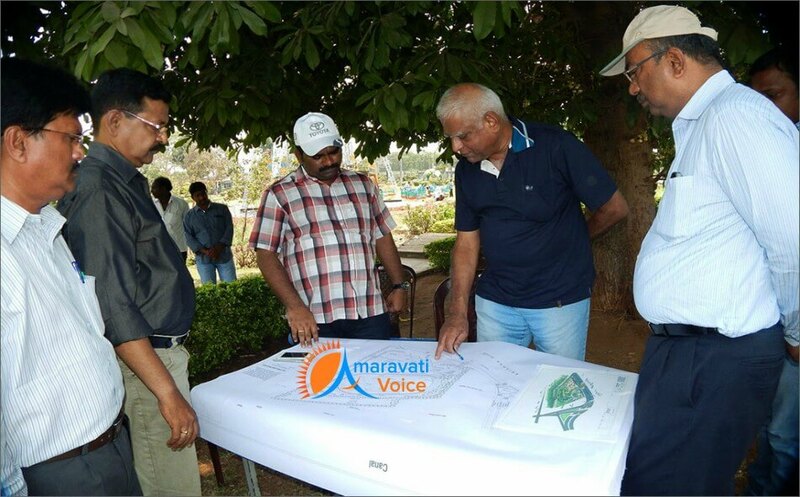 He has inspected the map of the park and the design which is previously taken care by Hyderabad based Raj Expids. Municipal Commissioner has given certain instructions to the officials. He has also told to take care of the skating track and the musical foundation, as the part of the park would be removed for Kanakadurga flyover. Also he has instructed the officials to prepare a plan which includes the development of musical fountain, joy train, Zoo, Skating and other games. Also he told to renovate all the play equipment’s, providing food courts, and eateries and others.